We've been batching up our original cold brew for years, serving it out of our cafe in Beverly. But unfortunately, not everyone is able to make it down to Atomic Beverly every day for their daily coffee (sad face). 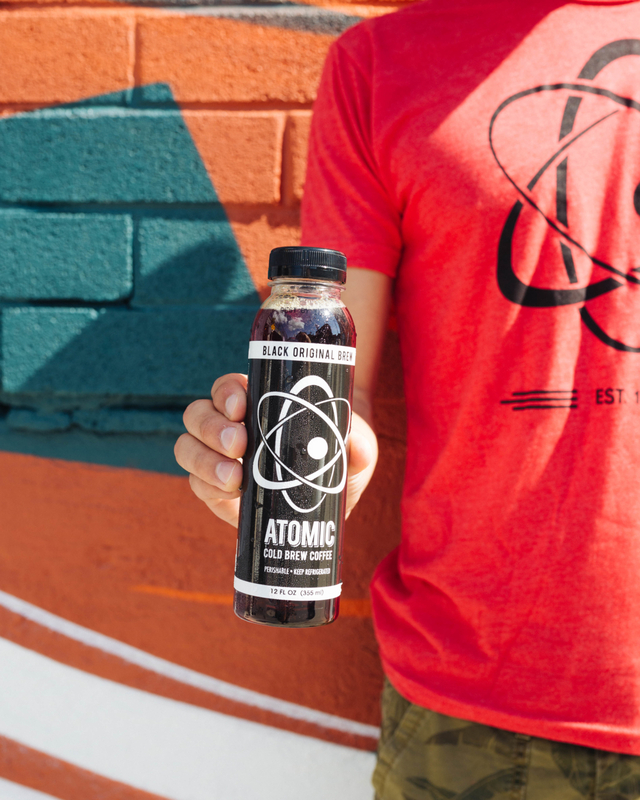 So we figured out how to put our beloved cold brew into bottles and cans, without cutting any corners. We opened a new cold brewery in Danvers, right down the road from our roastery in Salem. 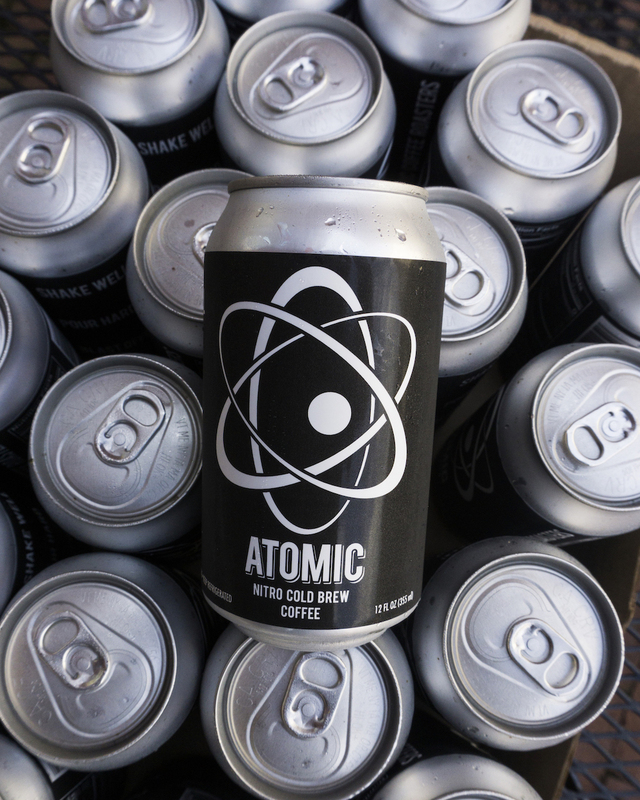 The result is a deliciously smooth cold brew, nitro cold brew, and a family of cold brew lattes that you can enjoy at home, work, or wherever (and whenever) you damn please! Our original cold brew that many North Shore residents have come to know and love! 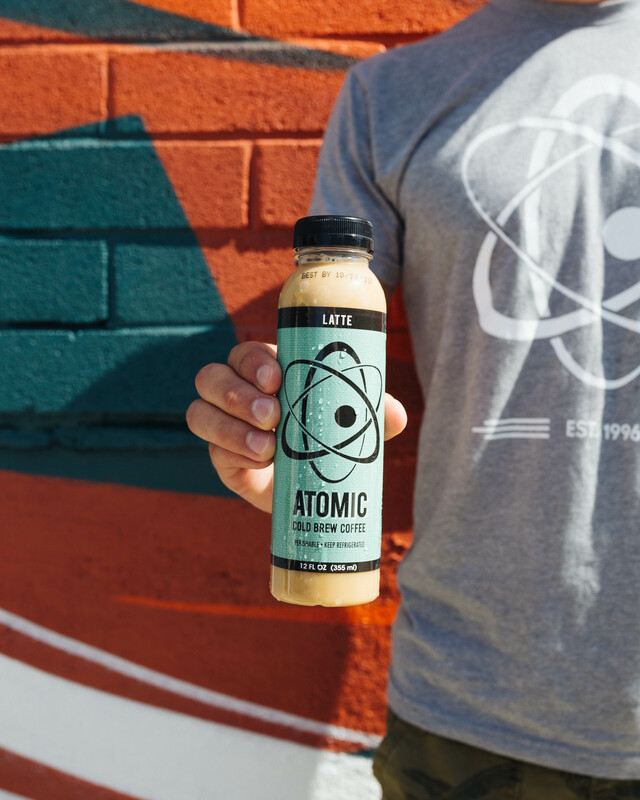 The same cold brew we serve at our Beverly cafe, now available in bottles that you can take anywhere. Enjoy right from the bottle, or pour over ice! Our original cold brew with milk & sugar. We start with our original cold brew, add milk from a local farm right down the road from us (Pure Country Dairy in Peabody), and then lightly sweeten it with cane sugar. Our original cold brew with chocolate milk. We start with our original cold brew, and add chocolate milk from a local farm right down the road from us (Pure Country Dairy in Peabody). 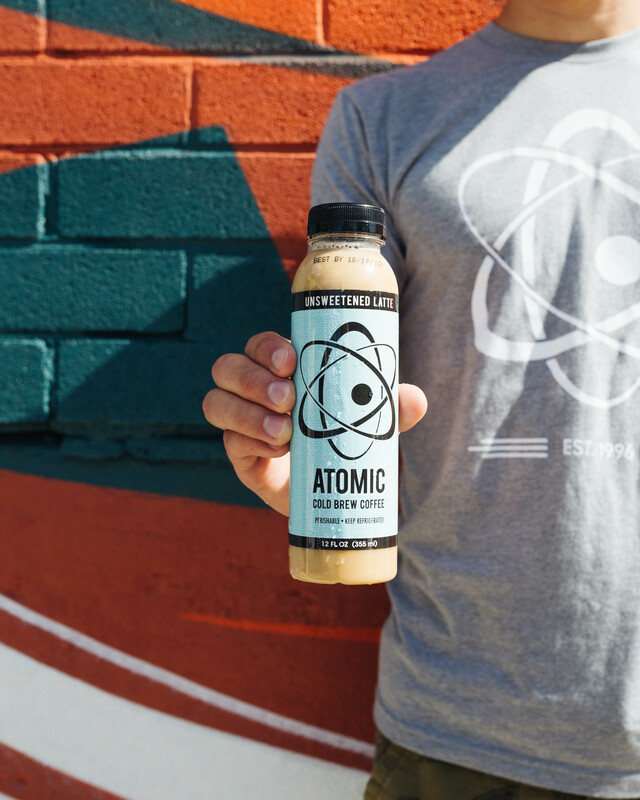 Quite possibly the best chocolate milk on the planet, teams up with the best cold brew on the planet (our unbiased opinion). Our original cold brew with milk. We start with our original cold brew, and add milk from a local farm right down the road from us (Pure Country Dairy in Peabody). And, well... that's it! The result is a true latte through and through. 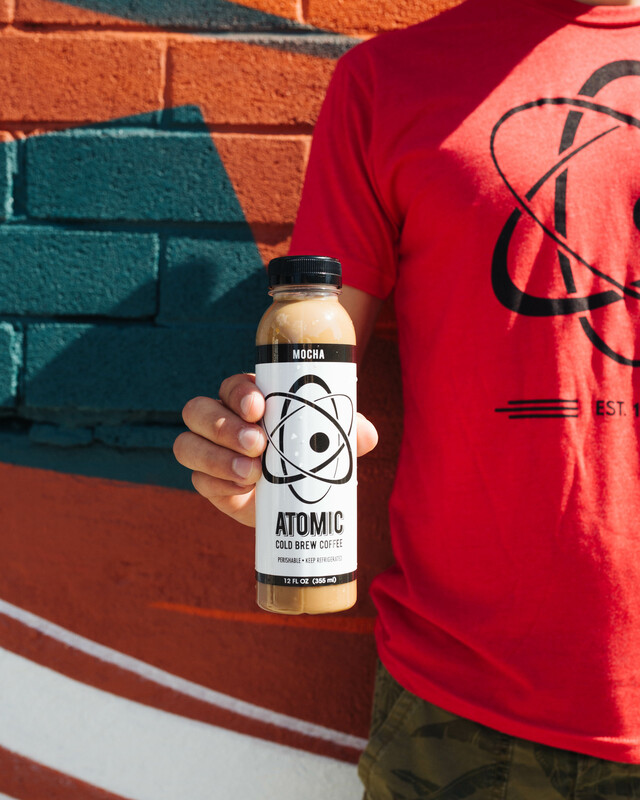 Our Nitro Cold Brew is naturally sweet, and fully satisfying. We take our black original brew, can it, and infuse with nitrogen. The result is a fuller, frothier cup of coffee that cascades as you pour!